Pattern Review: Simplicity 8216 Hello, I am back with my 2nd of my #2018MakeNine challenge! I have a ready to wear shirt in my wardrobe with a neck tie and it is one of my most worn items. 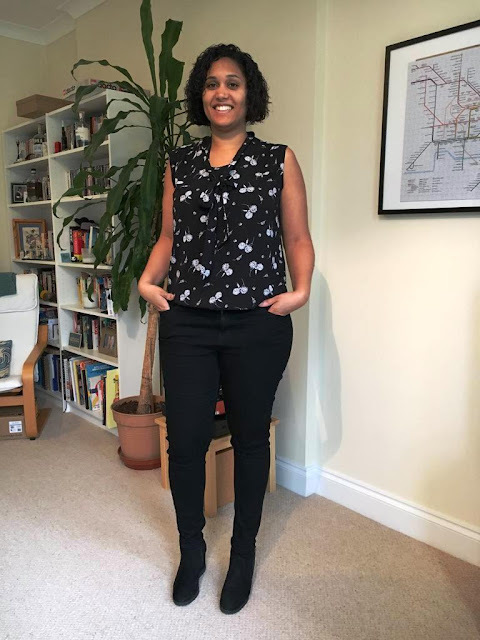 I have been on the lookout for sewing patterns to replicate it and decided to try Simplicity 8216. Pattern Review: New Look 6456 This pattern was inspired by the #makeyourstash challenge! The aim is to promote sustainable sewing by using fabric that has been in your stash for at least 6 months and is an item that you will enjoy wearing! I have had this lovely piece of cotton in my stash for around 3 years and this challenge finally made me put it to use as a wrap skirt.